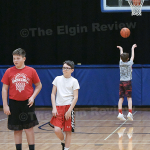 ELGIN — Ten champions were recognized Saturday afternoon as the Elgin Knights of Columbus (KC) held their annual Free Throw Contest at St. Boniface Gymnasium. Altogether, 22 boys and girls between the ages of nine and 14 competed in the competition. 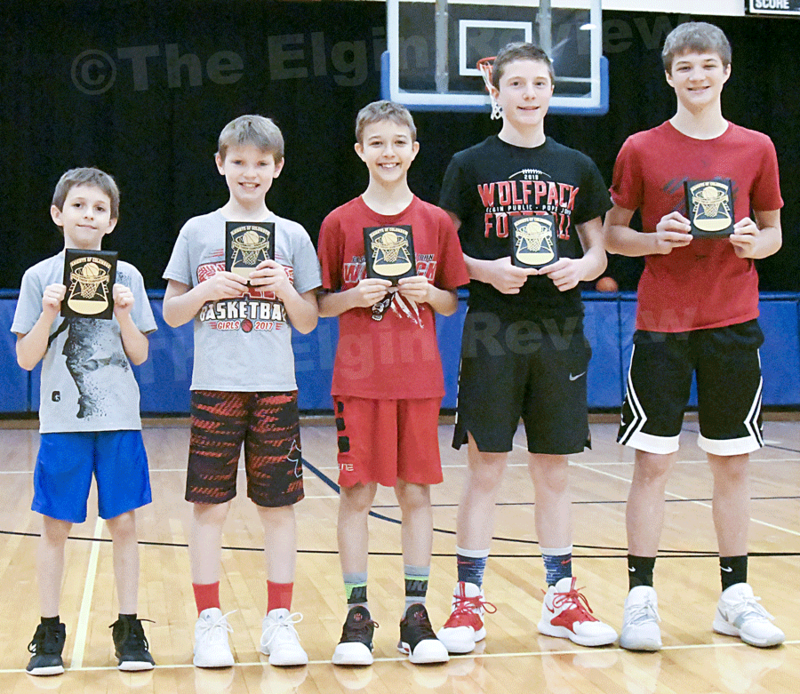 Each age group shot 15 free throws with the one who made the most advancing to the next level of competition to be held in Elgin on Saturday, Feb. 2. Registration will begin at 11:30 a.m. with competition to begin at noon. Just one contestant on this day was perfect from the free throw line. That was 13-year-old champion Keyera Eisenhauer. 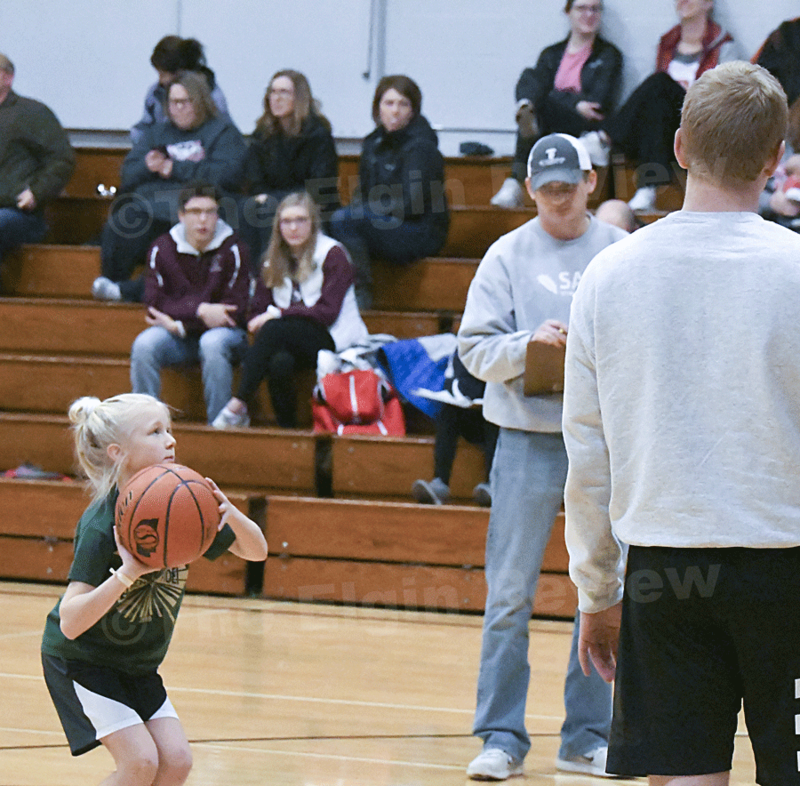 The Free Throw Contest gives youth a chance to show off their skills. 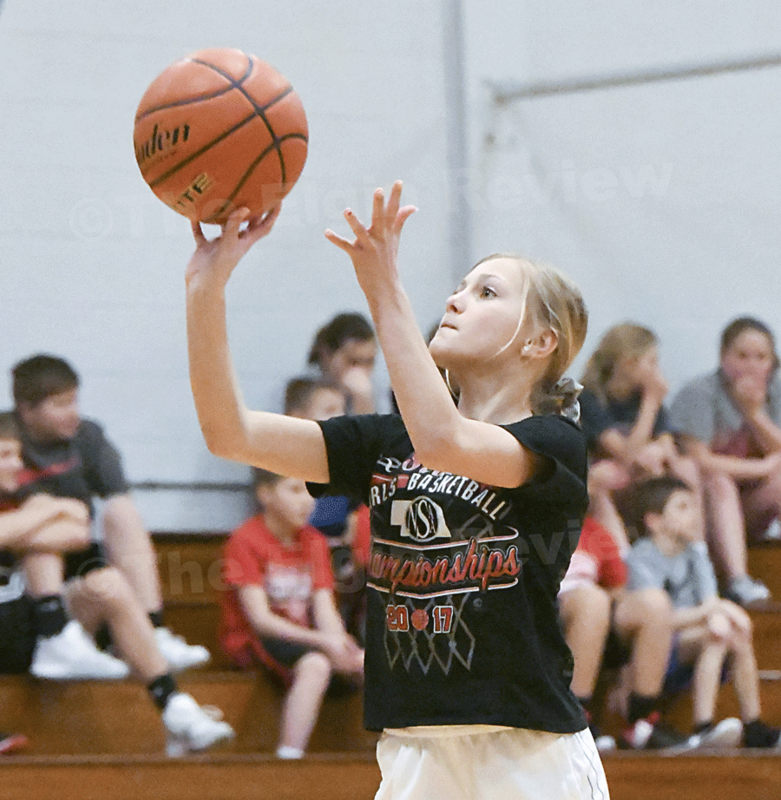 Kate Furstenau’s concentration paid off as she advanced in her age group. The Free Throw Contest is split into two groups, boys and girls. Girls — Braelyn Martinsen, age 9; Kayton Zwingman, 10; Kate Furstenau, 11; Callie Heithoff, 12; and Keyera Eisenhauer, 13. There was no one in the age 14 division. 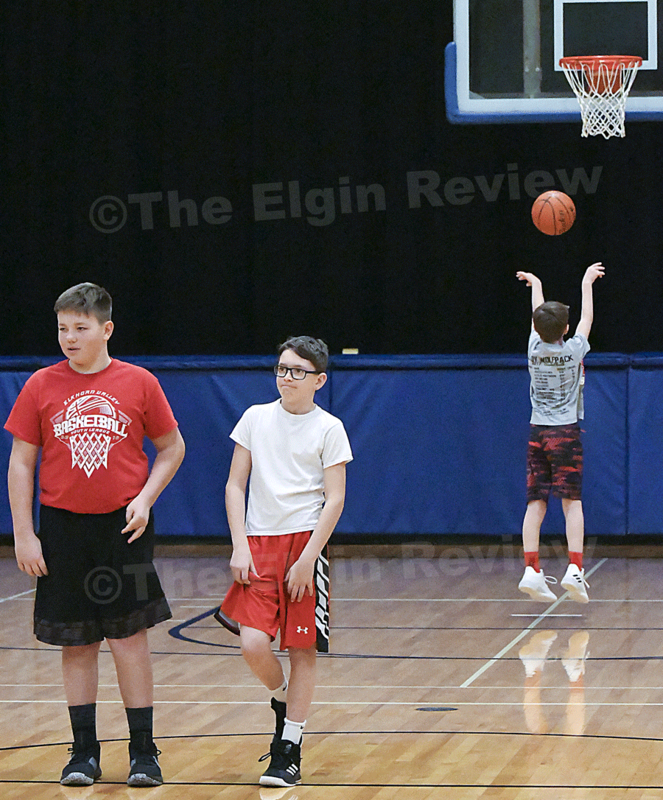 Boys — Matthew Kerkman, age 9; Karson Kallhoff, 11; Kellan Hoefer, 12; Camryn Pelster, 13; and Paiton Hoefer, 14. There was no one in the age 10 division. 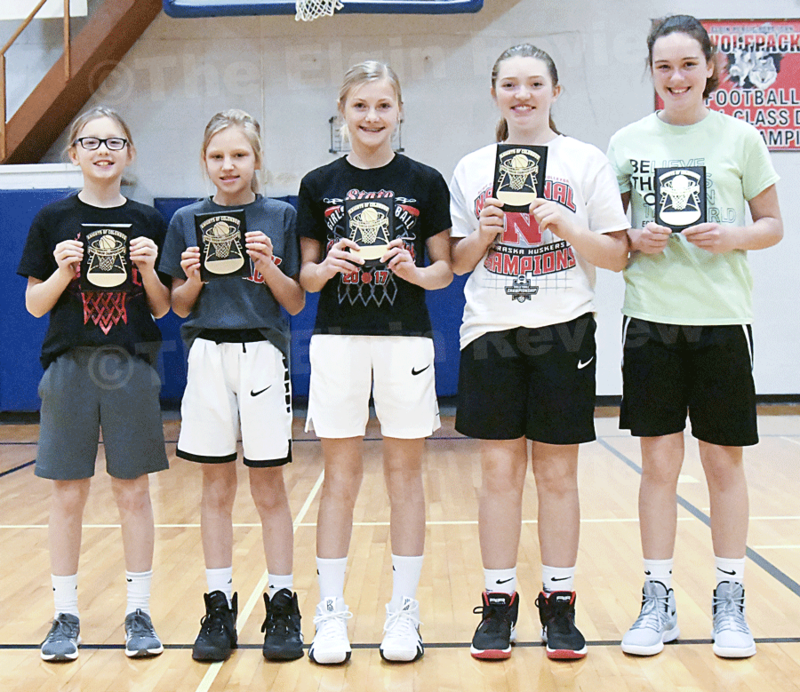 The girls winning and advancing were, l-r: Braelyn Martinsen, age 9; Kayton Zwingman, 10; Kate Furstenau, 11; Callie Heithoff, 12; and Keyera Eisenhauer, 13. There was no one in the age 14 division. 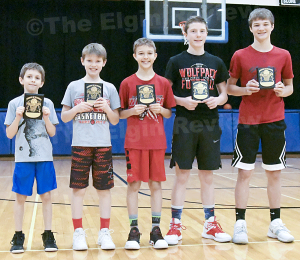 The boys winning their age group were, l-r: Matthew Kerkman, age 9; Karson Kallhoff, 11; Kellan Hoefer, 12; Camryn Pelster, 13; and Paiton Hoefer, 14. There was no one in the age 10 division.